← Are You Listening, Oprah? I’m glad you’re in touch with your spiritual side, Sue, as it’s obviously led you to paint this beautiful portrait of Ryan Cruz Sladana. I imagine it will bring great comfort to his parents. And your words are also a lovely memorial. 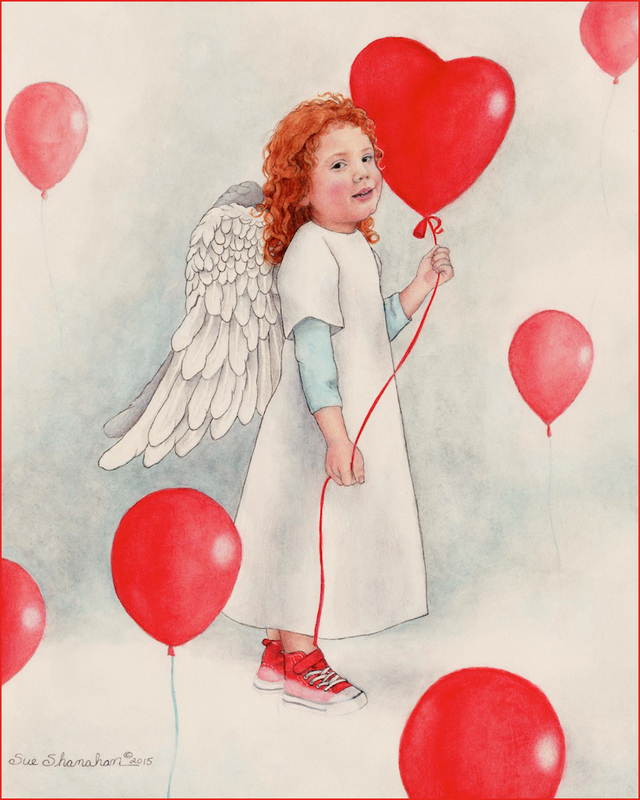 Every time I see a red balloon I will remember Ryan and offer up a prayer for his parents and all the parents in the world who have endured the pain of outliving their children. I think there are no words when such a loss hits somebody’s life. Love you painting, there is your heart in it. The years of decisions and challenges yet to come. ~ Wee angel Ryan named for a king. ****How I wish they could have your painting, Sue. How I wish.